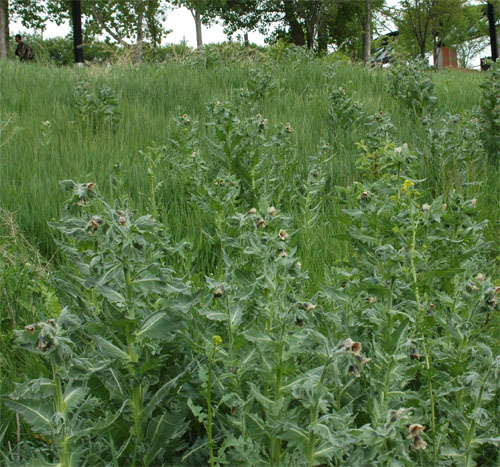 Black Henbane was introduced to North America from the Mediterranean and has been used as a medicinal plant since the Middle Ages. It was also used in ancient religious rites because of its hallucinogenic properties. 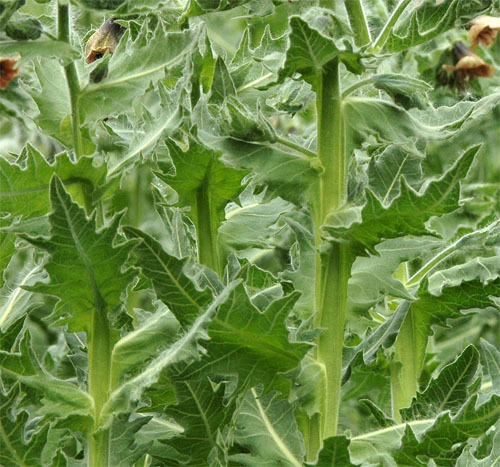 All parts of the plant contain several toxic alkaloids that are poisonous to humans and animals when ingested. 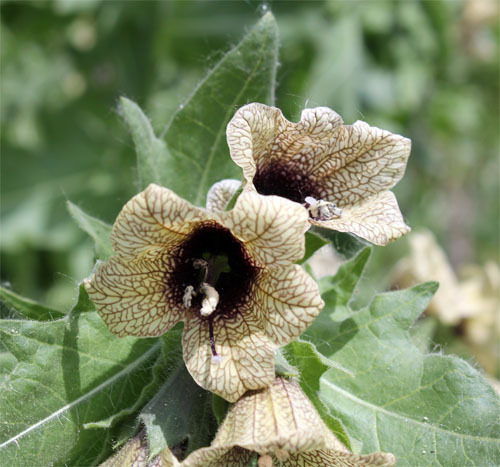 Black Henbane is a prolific seed producer; a single plant can produce as much as half a million seeds in one season, and seeds can remain alive for up to four years. The flowers of Black Henbane are very unique. They have united petals with 5 lobes. They are yellow with deep purple veins and throats and have a strong, unpleasant smell. The leaves are alternately arranged along the stem and are shallowly lobed with a wavy smooth edge. The entire plant is covered in sticky, smelly hairs. The fruit is typically urn-shaped with a crown-like edge. The stems are erect and grow up to 1 m tall.